From dorm rooms to garages to shared offices, entrepreneurs have the courage to start their business from just about anywhere. 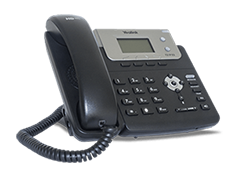 Up until recently, in order to stay in touch with customers they either had to use personal cell phones or purchase an expensive business phone systems. Those days, thankfully, are now gone as Ooma is introducing Ooma Office for Mobile. Now, entrepreneurs can access all the advanced business features of a business phone system, without the hardware or installation costs, by using their iOS or Android smartphone(s). With an increasing number of sole proprietor businesses, freelancers and small businesses operating on-the-go, Ooma saw the opportunity to create a tailored solution for mobile-only users that not only matched the very nature of this workforce, but also addressed the importance of simplicity. Ooma is keen on delivering a platform that anyone can use without any advanced technical knowledge, so that working professionals can hit the ground running and get back to what they do best. 24/7 Customer Support: Easy do-it-yourself setup backed with 24/7 support. Available for both iOS and Android mobile devices, you can try Ooma Office for Mobile for free for 30 days by activating online at https://www.ooma.com/small-business-phone-systems/mobile-app/and downloading the free mobile app. 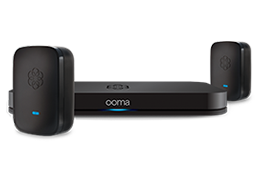 After that, Ooma Office for Mobile is available for the same price as Ooma Office, only $19.95 per user per month, plus applicable taxes and fees.